Last updated on MAY 22, 2018. This policy applies only to information we collect through our Services, in email, text and other electronic communications sent through or in connection with our Services. This policy DOES NOT apply to information that you provide to, or that is collected by, any third-party, such as restaurants at which you make reservations and/or pay through our Services and social networks that you use in connection with our Services. We encourage you to consult directly with such third-parties about their privacy practices. about your internet connection, the equipment you use to access our Services and your usage details. automatically as you navigate through our Services (information collected automatically may include usage details, IP addresses and information collected through cookies, web beacons and other tracking technologies). Your account information: Your full name, email address, postal code, password and other information you may provide with your account, such as your gender, mobile phone number and website. Your profile picture that will be publicly displayed as part of your account profile. You may optionally provide us with this information through third-party sign-in services such as Facebook and Google Plus. In such cases, we fetch and store whatever information is made available to us by you through these sign-in services. Your preferences: Your preferences and settings such as time zone and language. Your content: Information you provide through our Services, including your reviews, photographs, comments, lists, followers, the users you follow, current and prior restaurant reservation details, food ordering details and history, favorite restaurants, special restaurant requests, contact information of people you add to, or notify of, your restaurant reservations through our Services, names, and other information you provide on our Services, and other information in your account profile. Your searches and other activities: The search terms you have looked up and results you selected. Your browsing information: How long you used our Services and which features you used; the ads you clicked on. Your communications: Communications between you and other users or merchants through our Services; your participation in a survey, poll, sweepstakes, contest or promotion scheme; your request for certain features (e.g., newsletters, updates or other products); your communication with us about employment opportunities posted to the services. Your transactional information: If you make reservations or purchases through our Services, we may collect and store information about you to process your requests and automatically complete forms for future transactions, including (but not limited to) your phone number, address, email, billing information and credit or payment card information. This information may be shared with third-parties which assist in processing and fulfilling your requests, including PCI compliant payment gateway processors. When you submit credit or payment card information, we encrypt the information using industry standard technologies, as further described below under "Payment Card Information." 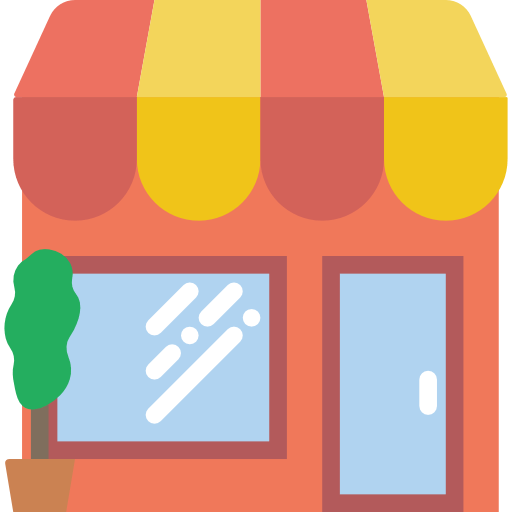 If you write reviews about businesses with which you conduct transactions through our Services, we may publicly display information that you transacted with those businesses. Your Public Posts: You also may provide information (such as ratings, reviews, tips, photos, comments, likes, bookmarks, friends, lists, etc.) to be published or displayed (hereinafter, "posted") on publicly accessible areas of our Services, or transmitted to other users of our Services or third-parties (collectively, "User Contributions"). Your User Contributions are posted on and transmitted to others at your own risk. Although we limit access to certain pages, you may set certain privacy settings for such information by logging into your account profile. Please be aware that no security measures are perfect or impenetrable (see "Security" section below). Additionally, we cannot control the actions of other users of our Services with whom you may choose to share your User Contributions. Therefore, we cannot and do not guarantee that your User Contributions will not be viewed by unauthorized persons. We may display this information on the Services, share it with businesses, and further distribute it to a wider audience through third party sites and services. You should be careful about revealing any sensitive details about yourself in such postings. We use the information you provide to us to enhance the functionality and improve the quality of our Services, and to personalize your experience while using our Services. We also use this information to display relevant advertising, provide support to you, communicate with you, and comply with our legal obligations. You have the option to request your friends to join the Services by providing their contact information. If you request a friend to join and connect with you on the Services, we will only use your friend’s contact information to process your request. If you exchange messages with others through the Services, we may store them in order to process and deliver them, allow you to manage them, and investigate possible violations of our Terms of Service and wrongdoing in connection with the Services. If you send information from the Services to your mobile device via SMS text message, we may log your phone number, phone carrier, and the date and time that the message was processed. Carriers may charge recipients for texts that they receive. We may automatically collect certain information about the computer or devices (including mobile devices) you use to access the Services, and about your use of the Services, even if you use the Services without registering or logging in. Usage information: Details of your use of our Services, including traffic data, location data, logs and other communication data and the resources that you access and use on or through our Services. Computer and device information: Information about your computer, Internet connection and mobile device, including your IP address, operating systems, platforms, browser type, other browsing information (connection, speed, connection type etc. ), device type, device’s unique device identifier, mobile network information and the device’s telephone number. Stored information and files: Our applications also may access metadata and other information associated with other files stored on your mobile device. This may include, for example, photographs, audio and video clips, personal contacts and address book information. Location information: Our applications collect real-time information about the location of your device, as permitted by you. Last URL visited: The URL of the last web page you visited before visiting our websites. Mobile device IDs: Unique mobile device identifier (e.g. IDFA or other device IDs on Apple devices like the iPhone and iPad), if you’re using our Services on a mobile device, we may use mobile device IDs (the unique identifier assigned to a device by the manufacturer), instead of cookies, to recognize you. We may do this to store your preferences and track your use of our applications. Unlike cookies, mobile device IDs cannot be deleted. Advertising companies may use device IDs to track your use of our applications, track the number of advertisements displayed, measure advertising performance and display advertisements that are more relevant to you. Analytics companies may use mobile device IDs to track your usage of our applications. Your activity on the Services: Information about your activity on the Services, such as your search queries, comments, domain names, search results selected, number of clicks, pages viewed and the order of those pages, how long you visited our Services, the date and time you used the Services, error logs, and other similar information. Mobile status: For mobile application users, the online or offline status of your application. 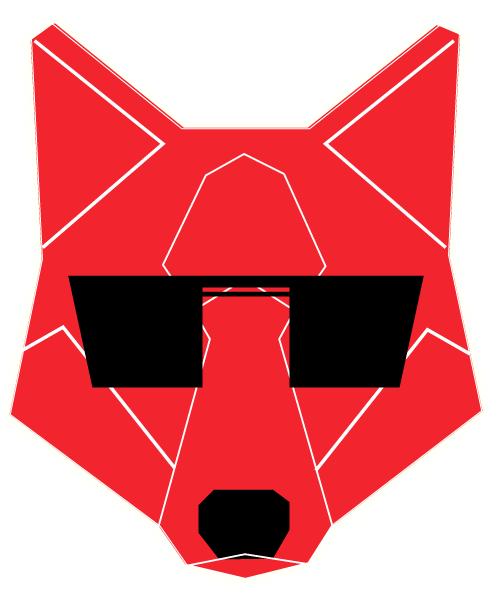 Applications: If you use the Wolf application, Wolf may collect information about the presence and/ or absence and/ or details pertaining to other applications on your mobile phone. The applications we gather information for, may vary across categories including, without limitation, shopping, fashion, food and travel. This will help us understand you and your preferences better and enable Wolf to provide you with a personalised experience. When you use one of our location-enabled services (for example, when you access Services from a mobile device), we may collect and process information about your mobile device’s GPS location (including the latitude, longitude or altitude of your mobile device) and the time the location information is recorded to customize the Services with location-based information and features (for example, to inform you about restaurants in your area or applicable promotions). Some of these services require your personal data for the feature to work and we may associate location data with your device ID and other information we hold about you. We keep this data for no longer than is reasonably necessary for providing services to you. If you wish to use the particular feature, you will be asked to consent to your data being used for this purpose. You can withdraw your consent at any time by disabling the GPS or other location-tracking functions on your device, provided your device allows you to do this. See your device manufacturer’s instructions for further details. We may also obtain information about you from third parties such as partners, marketers, third-party websites, and researchers, and combine that information with information which we collect from or about you. Understand our users (what they do on our Services, what features they like, how they use them, etc. ), improve the content and features of our Services (such as by personalizing content to your interests), process and complete your transactions, and make special offers. Send you communications that you have requested or that may be of interest to you by way of emails, or courier, or registered post, or telephone calls, or any other mode of communication. We may also share your preferences or the Services availed by you with your network followers on Wolf for marketing and other promotional activities of our Services. Send you questions from other users that you may be able to answer if you have registered with Wolf. Enable us to show you ads that are relevant to you. Generate and review reports and data about, and to conduct research on, our user base and Service usage patterns. Provide you with notices about your account. Allow you to participate in interactive features offered through our Services. In any other way, we may describe when you provide the information. We may also use your information to contact you about our own and third-party goods and services that may be of interest to you. If you do not want us to use your information in this way, please check the relevant box located on the form on which we collect your data and/or adjust your user preferences in your account profile. To our subsidiaries and affiliates, which are entities under common ownership or control of our ultimate parent company B3Website Limited. To contractors, service providers and other third-parties whom we use to support our business (e.g. dinner reservations and food delivery) and who are bound by contractual obligations to keep personal information confidential and use it only for the purposes for which we disclose it to them. To third-parties to market their products or services to you if you have consented to receive the promotional updates. We contractually require these third-parties to keep personal information confidential and use it only for the purposes for which we disclose it to them. Service Providers. We may share your information with outside vendors that we use for a variety of purposes, such as to send you emails and messages on behalf of other Wolf members, push notifications to your mobile device on our behalf, provide voice recognition services to process your spoken queries and questions, help us analyze use of our Services, and process and collect payments. Some of our products, services, and databases are hosted by third-party hosting services providers. We also may use vendors for other projects, such as conducting surveys or organizing sweepstakes for us. We may share information about you with these vendors only to enable them to perform their services. Social Networks. If you interact with social media features on our Services, such as the Facebook Like button, or use your social media credentials to log-in or post content, these features may collect information about your use of the Services, as well as post information about your activities on the social media service. Your interactions with social media companies are governed by their privacy policies. If we believe disclosure is necessary or appropriate to protect the rights, property, or safety of Wolf, our customers or others. This includes exchanging information with other companies and organizations for the purposes of fraud protection and credit risk reduction. Consent. We may share your information in any other circumstances where we have your consent. When you make a restaurant reservation or execute online food ordering transaction through our Services, your information is provided to us and to the restaurants with whom you choose to reserve. In order to facilitate your reservation and online food order processing, we provide your information to that restaurant in a similar manner as if you had made a reservation or food order directly with the restaurant. If you provide a mobile phone number, restaurants or Wolf may send you text messages regarding your reservation or order’s delivery status. Some restaurants also require you to provide credit or debit card account information to secure your reservation. 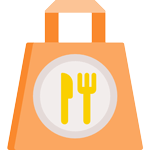 When you make a restaurant reservation or online food ordering transaction through our Services and/or make a payment to a restaurant through our Services, we may also share with the restaurant's additional information, such as information about your dining preferences and history or information that we collect from third-parties. The information you choose to share with a restaurant when you make a reservation and/or pay a restaurant through our Services may be used by the restaurant for its own purposes. We do not control the privacy practices of restaurants. Please contact the restaurant directly if you want to learn about its privacy practices. When you use a credit or debit card to secure a reservation through our Sites, we provide your credit or debit card account information (including card number and expiration date) to our third-party payment service providers and the applicable restaurant. For information about the security of your credit or debit card account information, see the “Security” section below. To help us better understand your use of the Services, we may use third-party web analytics on our Services, such as Google Analytics. These service providers use the sort of technology described in the “Automatically-Collected Information” Section above. The information collected by this technology will be disclosed to or collected directly by these service providers, who use the information to evaluate our users’ use of the Services. We also use Google Analytics as described in the following section. To prevent Google Analytics from collecting or using your information, you may install the Google Analytics Opt-Out Browser Add-on. When accessing the Services from a mobile application you may also receive tailored in-application advertisements. Each operating system: iOS, Android and Windows Phone provides its own instructions on how to prevent the delivery of tailored in-application advertisements. You may review the support materials and/or the privacy settings for the respective operating systems in order to opt-out of tailored in-application advertisements. For any other devices and/or operating systems, please visit the privacy settings for the applicable device or operating system or contact the applicable platform operator. We are committed to providing you with meaningful choices about the information collected on our Services for third-party purposes, and that is why we provide the above links to the NAI "Consumer Opt-out", DAA opt-out, and Google opt-out. However, we do not currently recognize or respond to browser-initiated Do Not Track signals, as the Internet industry is still working on Do Not Track standards, implementations, and solutions. When you sign up for an account, you are opting in to receive emails from other Wolf users, businesses, and Wolf itself. You can log in to manage your email preferences in your profile and you can follow the “unsubscribe” instructions in commercial email messages, but note that you cannot opt out of receiving certain administrative notices, service notices, or legal notices from Wolf. If you would like to review, change or delete personal information we have collected from you, or permanently delete your account, please use the “Contact Us” link at the bottom of every page (also located here), or contact the Wolf Privacy Officer. We encourage you to review, update and correct the personal information that we maintain about you, and you may request that we delete personal information about you that is inaccurate, incomplete, or irrelevant for legitimate purposes, or are being processed in a way which infringes any applicable legal requirement. Your right to review, update, correct, and delete your personal information may be limited, subject to the law of your jurisdiction: (i) if your requests are abusive or unreasonably excessive, (ii) where the rights or safety of another person or persons would be encroached upon, or (iii) if the information or material you request relates to existing or anticipated legal proceedings between you and us, or providing access to you would prejudice negotiations between us or an investigation of possible unlawful activity. Your right to review, update, correct, and delete your information is subject to our records retention policies and applicable law, including any statutory retention requirements. We assume no liability or responsibility for disclosure of your information due to errors in transmission, unauthorized third-party access, or other causes beyond our control. You play an important role in keeping your personal information secure. You should not share your username, password, or other security information for your Wolf account with anyone. If we receive instructions using your user name and password, we will consider that you have authorized the instructions. Under data protection law, you may have a number of rights concerning the data we hold about you. If you wish to exercise any of these rights, please contact our Data Protection Officer using the contact details set out above. For additional information on your rights please contact your data protection authority and see below. The right to be informed. You have the right to be provided with clear, transparent and easily understandable information about how we use your information and your rights. This is why we’re providing you with the information in this policy. The right of access. You have the right to obtain access to your information (if we’re processing it). This will enable you, for example, to check that we’re using your information in accordance with data protection law. If you wish to access the information we hold about you in this way, please get in touch (see Contact Details). The right to rectification. You are entitled to have your information corrected if it is inaccurate or incomplete. You can request that we rectify any errors in information that we hold by contacting us (see Contact Details). The right to erasure. This is also known as ‘the right to be forgotten’ and, in simple terms, enables you to request the deletion or removal of certain of the information that we hold about you by contacting us (see Contact Details). The right to restrict processing. You have rights to 'block' or 'suppress' further use of your information. When processing is restricted, we can still store your information, but will not use it further. The right to data portability. You have the right to obtain your personal information in an accessible and transferrable format so that you can re-use it for your own purposes across different service providers. This is not a general right however and there are exceptions. To learn more please get in touch (see Contact Details). The right to lodge a complaint. You have the right to lodge a complaint about the way we handle or process your information with the national data protection authority. The right to withdraw consent. If you have given your consent to anything we do with your information (i.e. we rely on consent as a legal basis for processing your information), you have the right to withdraw that consent at any time. You can do this by contacting us (see Contact Details). Withdrawing consent will not however make unlawful our use of your information while consent had been apparent. The right to object to processing. You have the right to object to certain types of processing, including processing for direct marketing and profiling. You can object by changing your marketing preferences or disabling cookies as set out in sections 7 and 8 above. If you want to exercise any of these rights, then send an email to DPO at DPO@wolf.ooo.